This module allows you to easily highlight more relevant products inside the categories of your website. It permits to display products being part of your best sales or your latest news or to display several selection of specific products. This module permits to highly increase the display relevance of your products and the conversion of visits into the categories of your online shop. 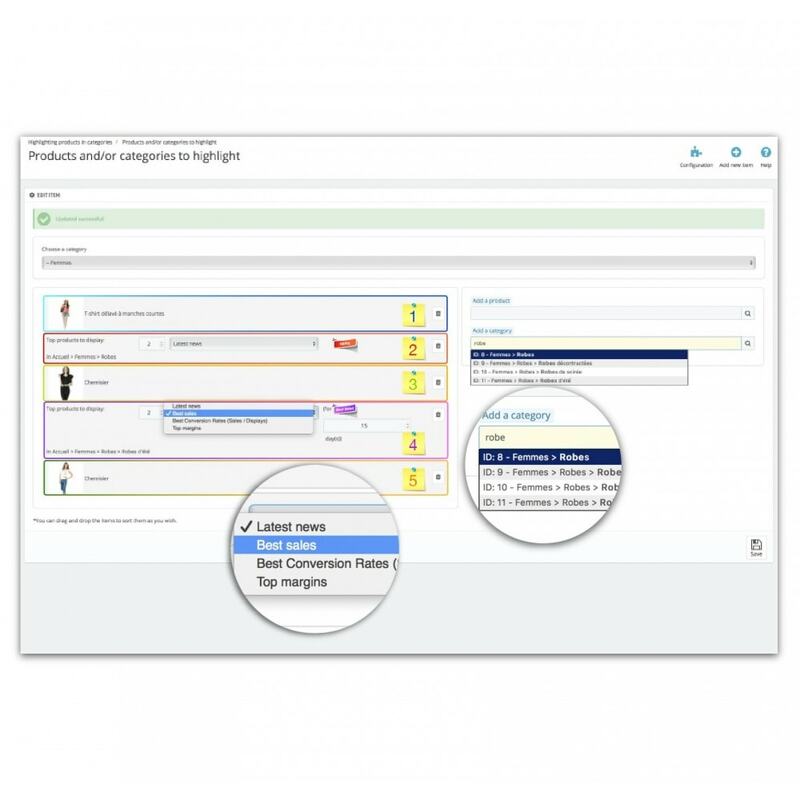 It also permits to easily increase the average cart of your clients. 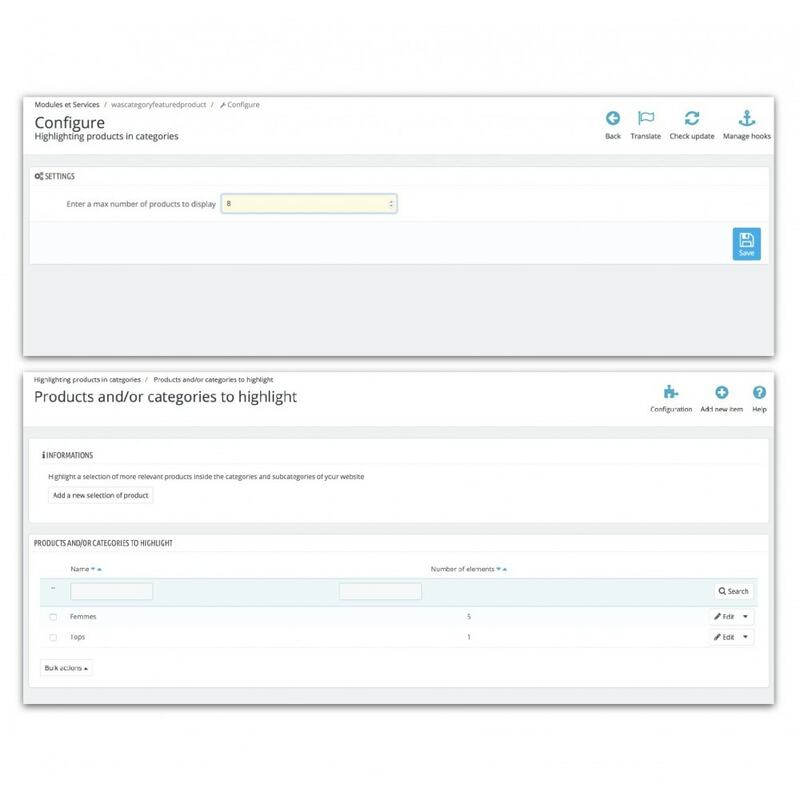 This module allows you to customize the way your products are displayed on the product category front-office page, and to highlight some of them. In this way, you increase the relevance of your pages and, thereby, increase your conversion rate by page. Concerning the ongoing category or one of its subcategory on a defined period. A category or a subcategory can be selected several times, thanks to a similar or different kind of filter. Besides adding categories and subcategories, it is also possible to add items in particular, selected among the products of the category, thanks to a search field fitted with predictive text. These products are displayed in the order in which they are placed in the table on the left. No filter is applied to them. 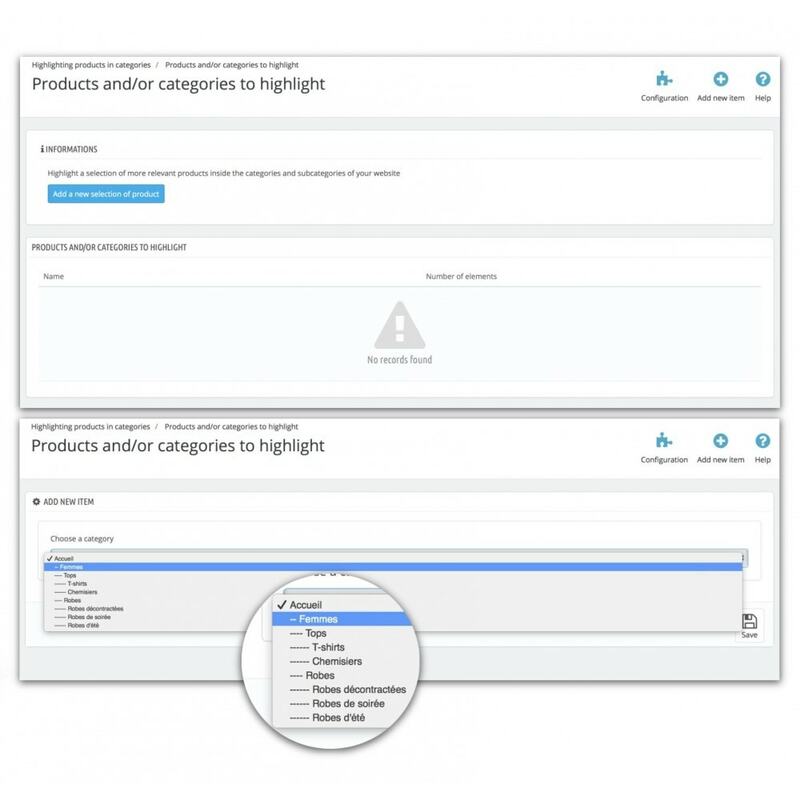 Once a product is selected, it will never appears twice in the listing of products, even if it is already chosen to be highlighted. Click on Catalog > Categories to display the listing of your categories. Select your category, and then click on Modify. In the section Highlighting products, select your filters and your items in the right-hand table. Refresh the page of your online shop, on the front office side. Your category now displays the more relevant products. When a client displays the listing of products from a category, he is often confronted with default classified products (price, date of publication, etc.). 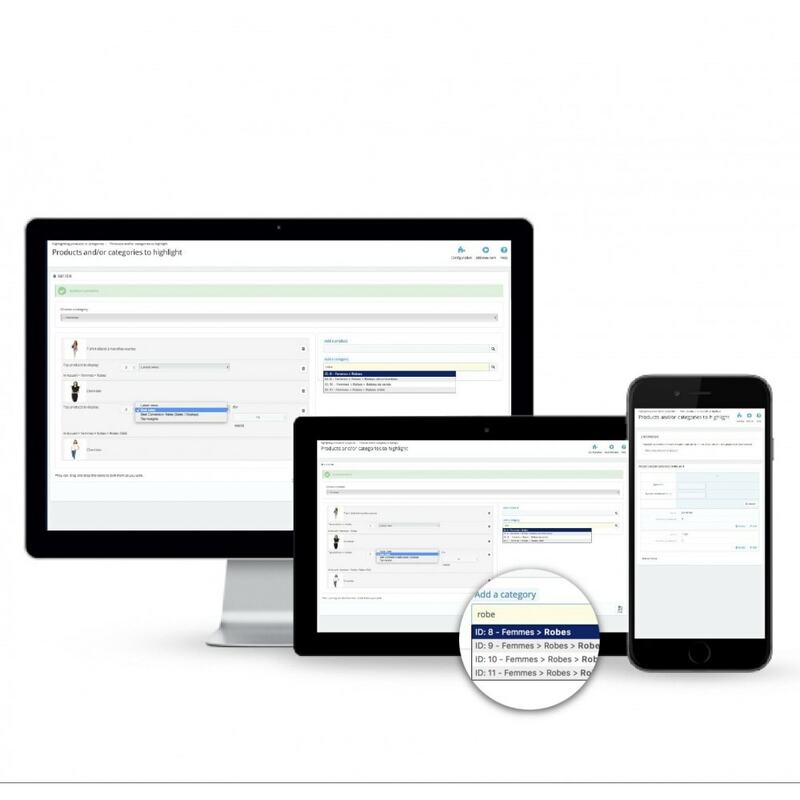 Should the classification displays products in ascending order, for example, there is a good chance that visitors will not view the products they are really seeking for unless they browse several pages. Within the page of a category, our module permits to cleverly and precisely select the first products clients will view, and then the others products in accordance with the default classification.There can be different kind of filters (best sales, Special offer, etc. ), and they can be applied to a category or to one of its subcategory in particular.